why do brides say ‘I Do’ to the strapless meringue? In the regional press round my way there have been a lot of fashion spreads recently about choosing the perfect wedding dress. I’m not target audience, but it struck me that 80% of these dresses seem to fall into the ‘strapless meringue’ category. I’ve been wondering why otherwise sane and stylish women decide that this is the way to go for the most important (and probably most expensive) dress they will ever wear. I suppose it all must hark back to 1947 and Dior’s New Look where, post rationing, the ultimate in luxury was to have a dress made of as much fabric as you could manage. Disney probably has a lot to answer for too. 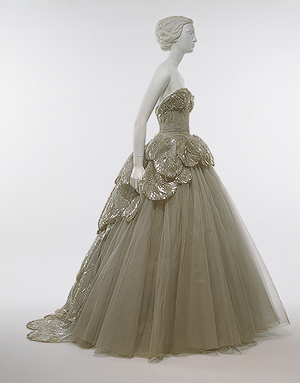 In 1950 it brought out Cinderella, who went to the ball in a light blue, cap sleeved, Dior New Look style meringue. She was followed by a parade of Disney Princesses, including Sleeping Beauty (1959, pink meringue), Belle from Beauty and the Beast (1991, yellow meringue) and Tiana from last year’s The Princess and the Frog (green strapless meringue). 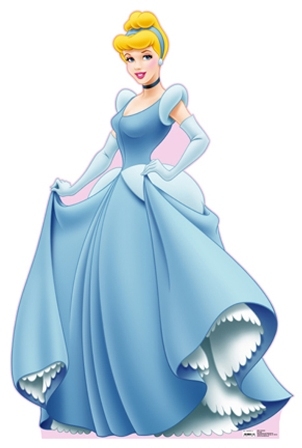 I’m hypothesising that many girls have an idea in their head about the perfect wedding dress from about age four and this must be heavily influenced by the output of Disney. 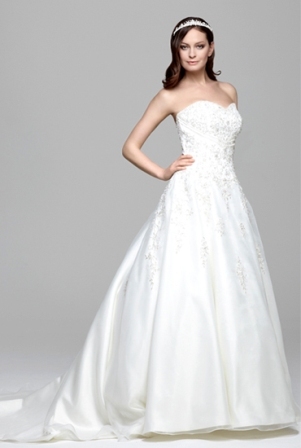 If your wedding is all about being a princess for a day, why not dress like one? Previous Post Fiat 500- pretty in pink but perhaps all proposition? Isn’t it frightening when you realise you’re thinking the same way as the Guardian? Or that the thoughts you believed unique are actually being thought by thousands of others?